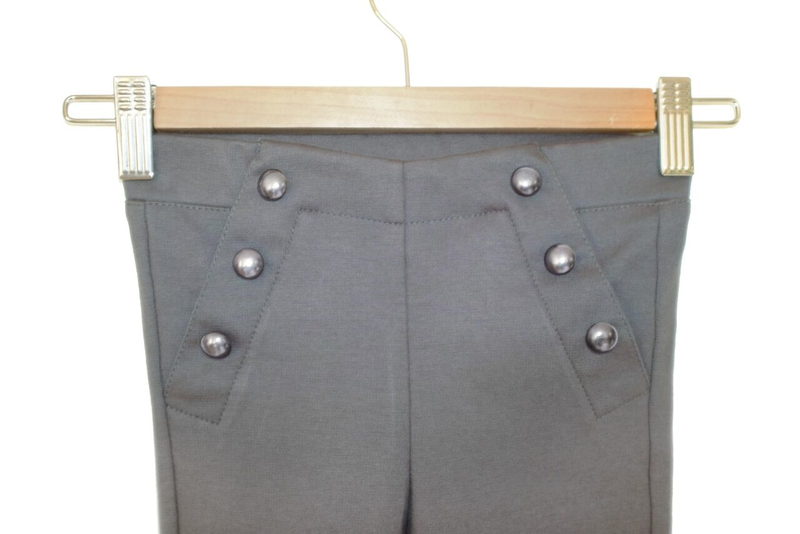 These soft and comfy jersey school trousers have stylish metallic buttons, and an adjustable waist for a comfortable, perfect fit. Featuring a skinny leg for a modern and flattering look, made from Organic Cotton that is better for child’s skin and for the environment. These stylish jersey slim fit trousers are super soft, comfy and make a fashionable choice for school. Made from Organic Cotton that is better for child’s skin and for the environment. Choose ethically produced organic cotton for your children's school clothes. These are the only trousers that my daughter can wear- other so-called 'skin kind' options all have some polyester in, and give her a rash. 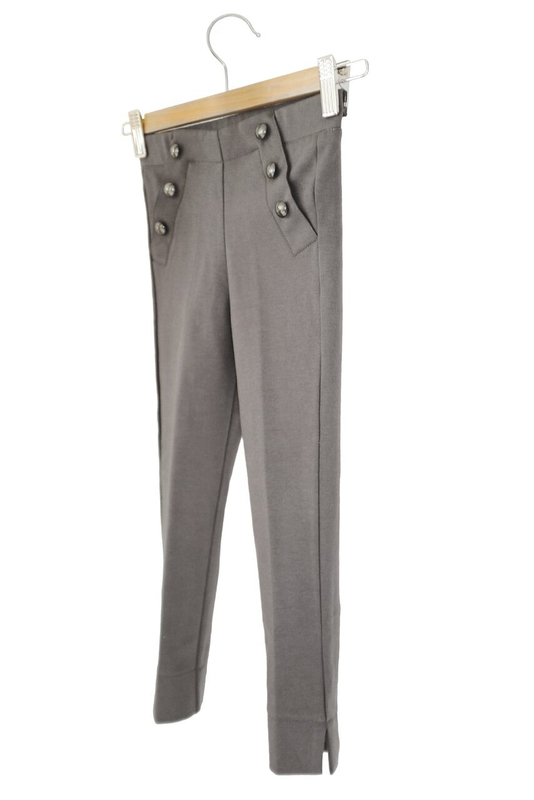 These are lovely- pull on, legging style, but with some tailoring to make them extremely smart. They wear through at the knees after maybe three months, which makes them quite expensive, but I have not been able to find a better alternative for a child with sensitive skin. 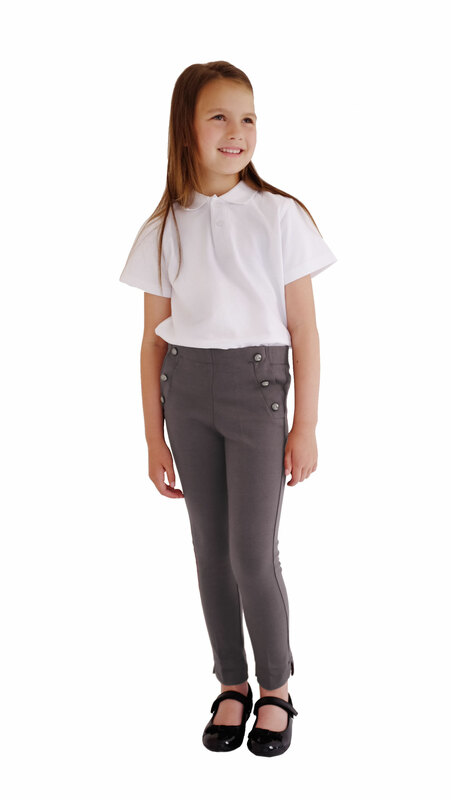 Grey Jersey Girls' School Trousers made from Organic Cotton was successfully added to your shopping cart.